Grainger also sources whirlybirds from Cool Attic. 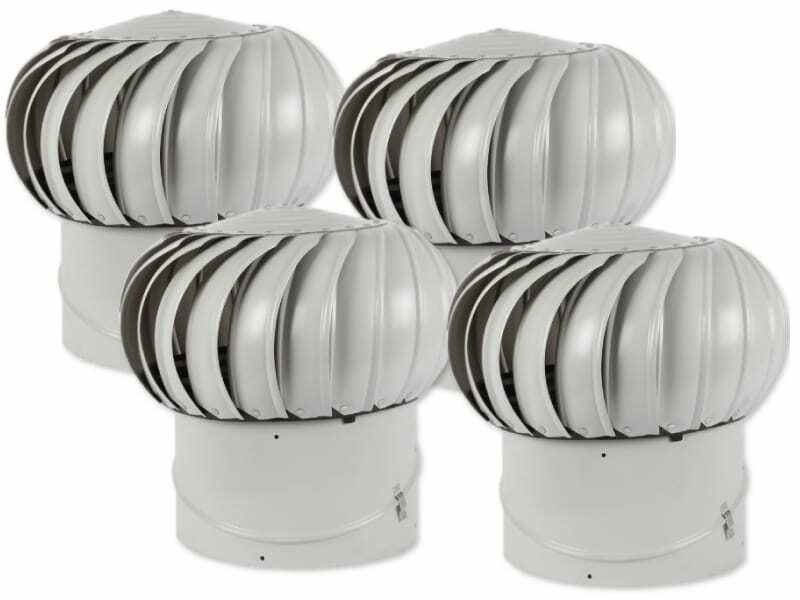 The supplier offers three Cool Attic turbine ventilator models. One of these is an externally braced model with a throat size of 12 inches. The internally braced models are available in throat sizes of 12 inches and 14 inches. 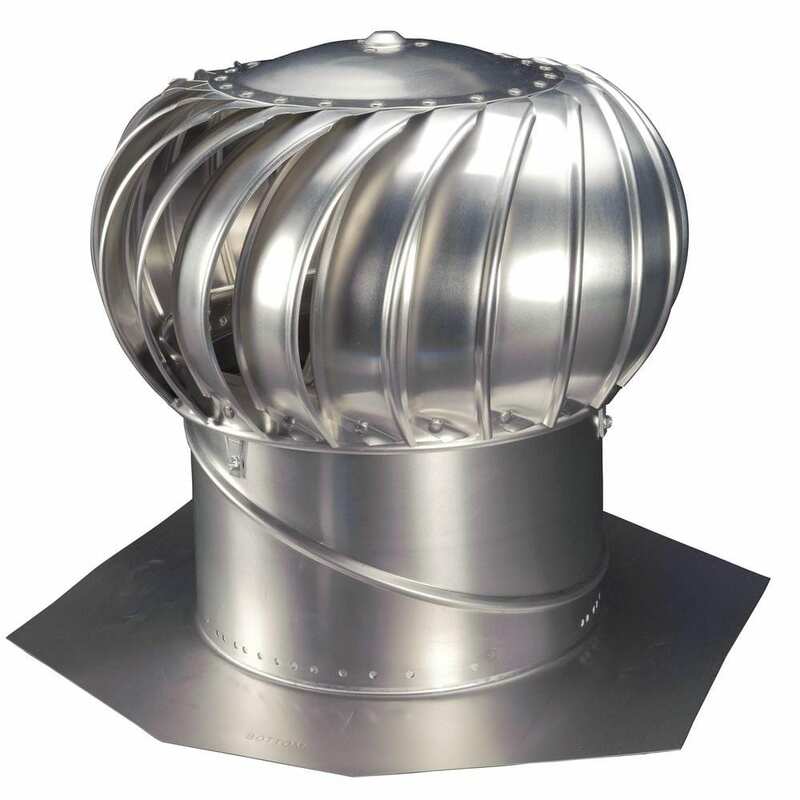 In contrast to the stainless steel construction of the Empire whirlybirds, the Cool Attic vents come in aluminium construction. Aluminium construction has a number of distinct advantages – it is lightweight, fairly durable and offers excellent durability. However, it may not be as sturdy as stainless steel in its operation. Inside the whirlybird, Cool Attic has used stainless steel ball bearings. These ball bearings offer smooth and noise-free rotation for the whirlybirds. 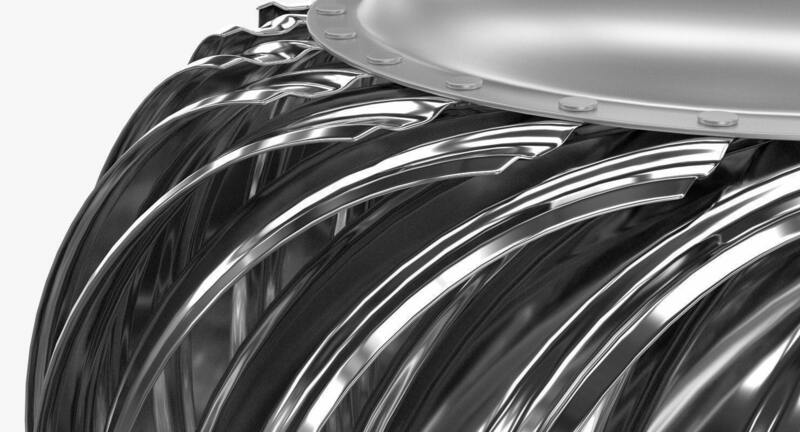 They also require little to no maintenance on your part and function perfectly over a long period. The internally braced Cool Attic models are sufficiently reinforced on the inside so that they don’t require any further support. The unit head is designed to adjust easily to any 12/12 pitch. 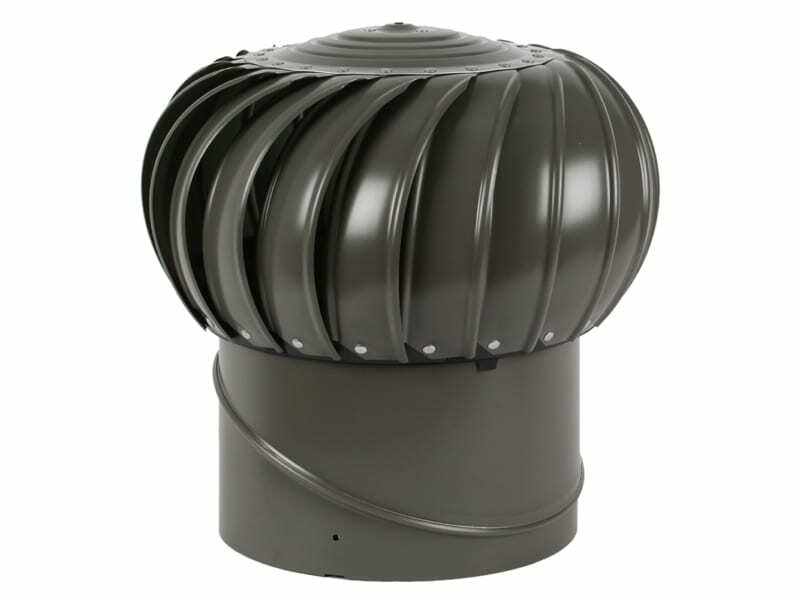 Cool Attic offers a base flashing along with the main ventilator head so that you don’t need to purchase a base flashing separately. Cool Attic vents are completely wind-driven. They have been tested to withstand wind speeds up to 100mph and above. 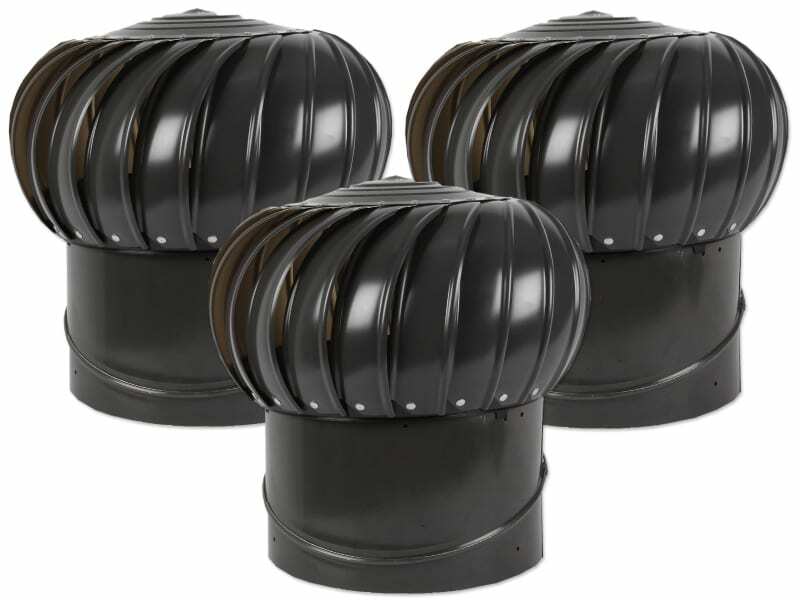 They are also weather-proof so that you don’t need to worry about rainwater leaking through them. A slight downside of these wind-driven vents is that they depend on wind to rotate. 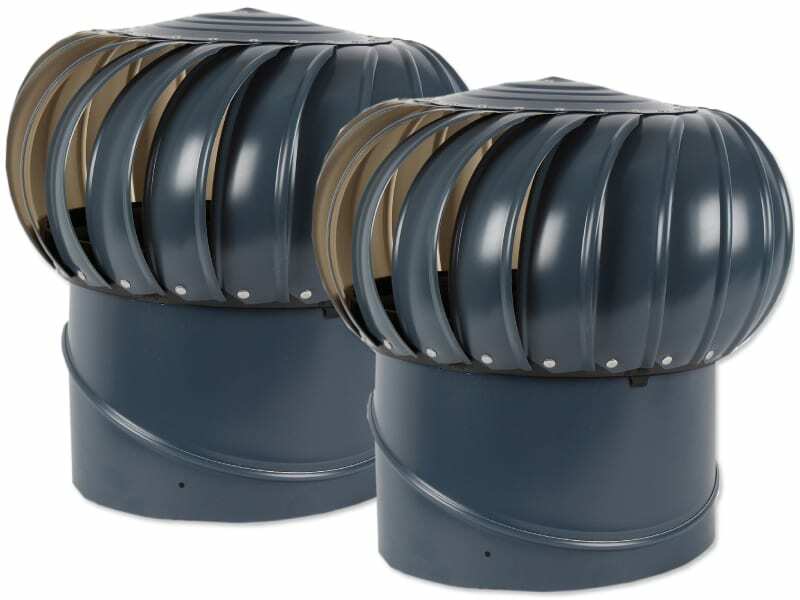 In the absence of good wind, these vents do not rotate and do not offer ventilation. The upside of wind-based operation is that they consume no power and incur no energy costs.